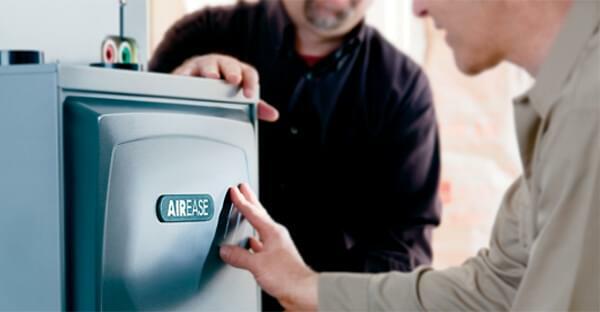 William E Kingswell Inc provides you with high-quality air cleaners and heating and cooling products for your residential and commercial properties. Committed to Customer Satisfaction Since 1927! Your complete satisfaction is our number one priority, which is why we offer manufacturer warranties on your purchases. Since 1927, William E Kingswell Inc has been providing customers like you with brand new heating equipment like furnaces, boilers, and convectors. 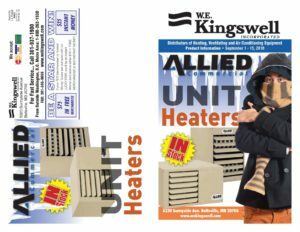 With our extensive stock of brands, you're sure to find the right heating unit for your home or business. Whether you're a homeowner or a property manager, you're sure to find what you're looking for at William E Kingswell Inc. We carry a huge stock of residential and commercial cooling products for your convenience. If you can't find what you're looking for, don't worry! Our staff is dedicated to helping you find what you need, even if we don't have it in stock. 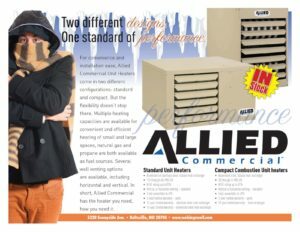 Components and parts that are well designed and laboratory tested for strength and endurance, so every piece of equipment that comes off of our assembly lines at Allied Commercial upholds our high standards.